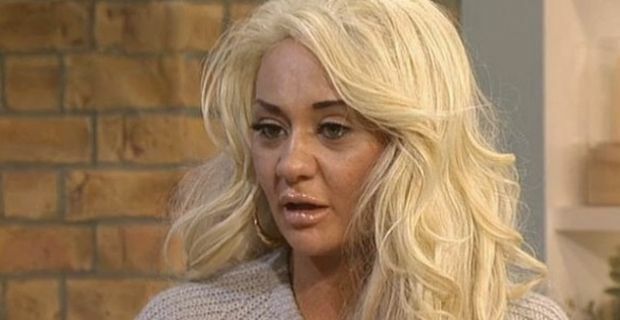 Josie Cunningham is no stranger to leaving people speechless but usually it is because of what she says rather than how she looks. However, her appearance on ITV's This Morning show today left people shocked at her her look where she wore a wig and a lot of fake tan. Cunningham joined hosts Phillip Schofield and Christine Bleakley for a chat with the tagline "Britain's Most Hated Woman" emblazoned across the screen. She is currently in the middle of a huge publicity drive ahead of her documentary which airs on Channel 4 on Thursday 22nd of January. The outspoken Josie was looking quite orange with her choice of fake tan and it was exacerbated by her employment of a pale lipstick. To really top off her attention grabbing look, she was also wearing a curly blonde wig which was full of volume. Needless to say, after an initial double take, it got people talking on Twitter. A common comparison that the Twitterverse drew was between Cunningham and Muppets character Miss Piggy with @iambane_x tweeting "At least miss piggy's wig looks expensive" while @ tweeted "I knew there was a particular look #JosieCunningham was going for.. At least Miss Piggy keeps it classy with pearls." @foofylafoo called for her to be taken off the air altogether saying "Cant take that sorry excuse 4 a woman #JosieCunningham serious with that hair &those lips.She's vile. #thismorning stop giving her airtime"
Schofield certainly did not go easy on the woman famous for selling tickets to her child's birth and claiming that she would be willing to have an abortion to get on Celebrity Big Brother. When he asked her why she did these things she defended her actions by saying "I just want people to see me for who I am, hard working, loyal and just trying to being a good mum".